Endless ways to build for a new toy every time! 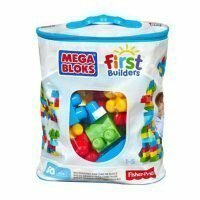 Build stack and explore endless construction possibilities with this award-winning set of 60 building blocks in classic colours! Now your little one can build anything they imagine when they use the blocks and special shapes to create tall towers crazy castles funny animals or whatever else they dream up! Perfect for little hands these big blocks fit together and come apart easily helping your child to develop fine motor skills and creativity over hours of open-ended play. When playtime’s over cleanup is easy with the handy storage bag.Creativity abounds with limitless building possibilities! With 60 colourful blocks to build with little ones can bring imagination to life when they create tall towers funny characters and everything in between! Learn and explore over hours of creative open-ended play. Then build and rebuild for a new toy each time! Big blocks with big developmental benefits!Find out why big blocks are perfect for little hands! – Easy to grasp and put together these colourful blocks help children develop fine and gross motor skills as they grab stack and build. Also made for growing minds little builders can practice focus concentration and problem solving as they build and learn through classic construction play! Quick clean-up and easy storage for busy families! – After playtime clean-up is quick and easy with the reusable storage bag. Perfect for parents on the go the storage bag is made from a safe and sturdy PVC-free material and features a secure zip closure and convenient carrying handle for portability. The bag’s compact upright design makes for a great fit in a wide range of storage spaces. Mix-and-match to make your own buildable world! 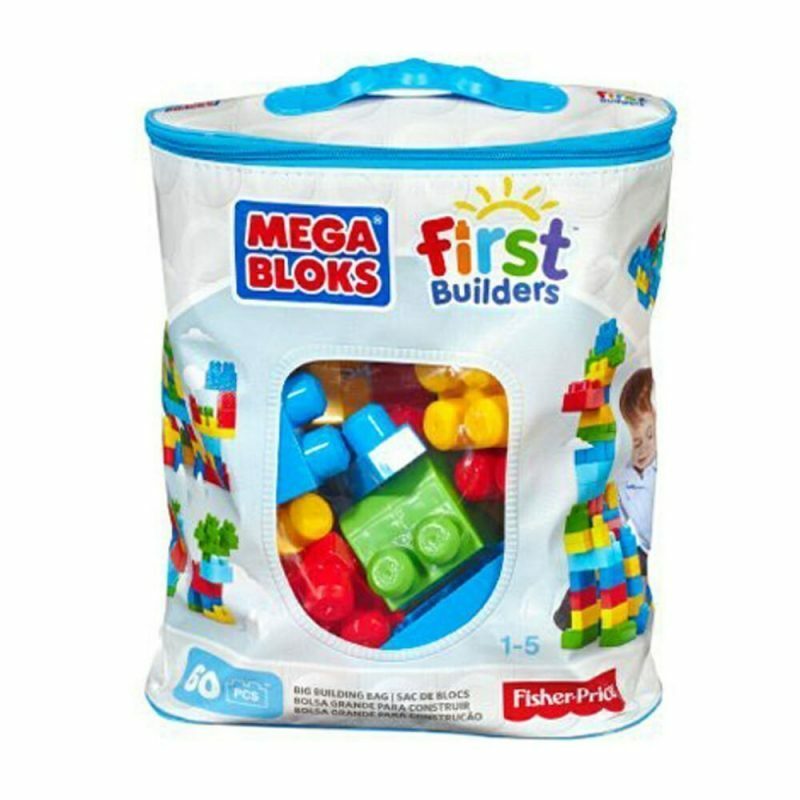 – Combine the Big Building Bag with other Mega Bloks® construction sets and build your own playtime adventures! Discover a whole world of buildable play when you mix and match a whole range of compatible construction toys adding cute characters rolling vehicles and more for lots of exciting ways to play!